Tuesday’s post was an exercise in thinking out loud about my own winter style; I know it’s helpful for some of y’all to read about how another person strategizes about their wardrobe. But I wanted to do a short reboot with universal tips based on what I learned, because not everyone wants to read my inner style monologue. If you process best via bullet-points and lists instead of story and narration, this post’s for you! Thrift off-season. It gives you time to go slowly, consider where your holes are, and wait for the perfect piece. Figure out what works in a part of your wardrobe you love, then apply it elsewhere. Silhouette/cut. What’s the cold-weather equivalent of the silhouettes you love in your warm-weather clothes (or vice versa)? I’ve nailed down my summer work style – tapered pants and looser tops – so for me this would mean slimmer trousers + slouchy sweaters in winter. For you maybe it’s loving shorts and a 3/4-sleeve top in summer, so you do a miniskirt over tights/leggings and a blazer with rolled sleeves over a shirt in winter. Color scheme. What color scheme makes your heart sing in summer? Find a muted, darker, or bolder version for winter. Or vice versa, lighten up your winter creams into white, navies into sky blue, aubergines into mauves. Keeping it in the same color family also lets you use cross-over pieces in the transition months. Fabric/texture. If you love natural woolens or tweeds in the winter, try linen or cotton in the summer. Silk, depending on the weight, works well across seasons. If you love you some tencel, modal, or jersey in the summer, find the same fabric but in heavier weights (or just layer what you already have) for winter. Caroline at Un-Fancy does this whole how-does-my-summer-style-get-winterized-or-vice-versa thing well if you need some visual inspiration. So does Janice at The Vivienne Files – she visually walks you through putting together and accessorizing an outfit for each month of the year, with all the garments sharing the same style philosophy and color palette. Amazing. Do y’all prefer lists and tips, or narrative and story when it comes to thinking about style? 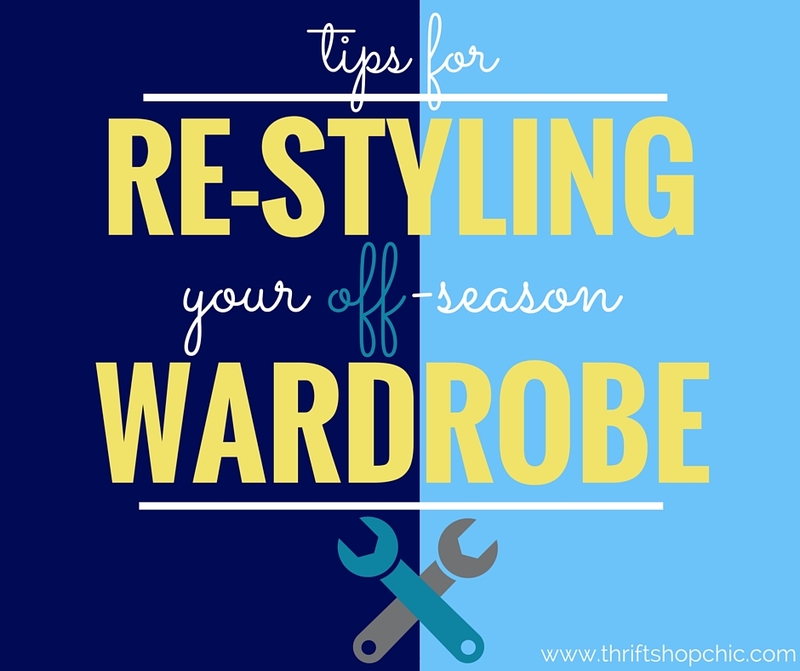 And what are your tricks for revamping a wardrobe you’re not currently wearing?